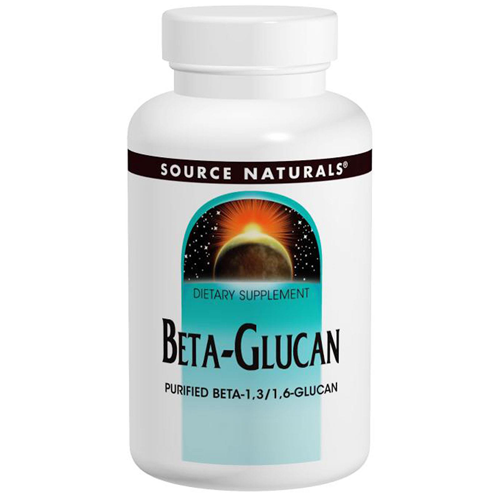 Beta Glucan is a complex polysaccharide (are there any other kind?) derived from a purified extract of Saccharomyces cerevisiae, or common baker's yeast. It may be beneficial to a specific system in the human body. 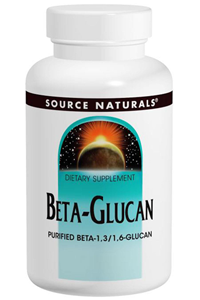 Source Naturals Beta Glucan is made using a process that removes the mannoproteins and yeast residues that may reduce its effectiveness. Micro-crystalline cellulose, gelatin (capsule), and colloidal silicon dioxide. Contains no dairy, egg, gluten, corn, soy or wheat. Contains no sugar, starch, salt, preservatives, or artificial colour, flavour or fragrance. If you are pregnant, may become pregnant, breastfeeding, or if you are taking immuno-suppressant drugs, consult your health care professional before using this product.